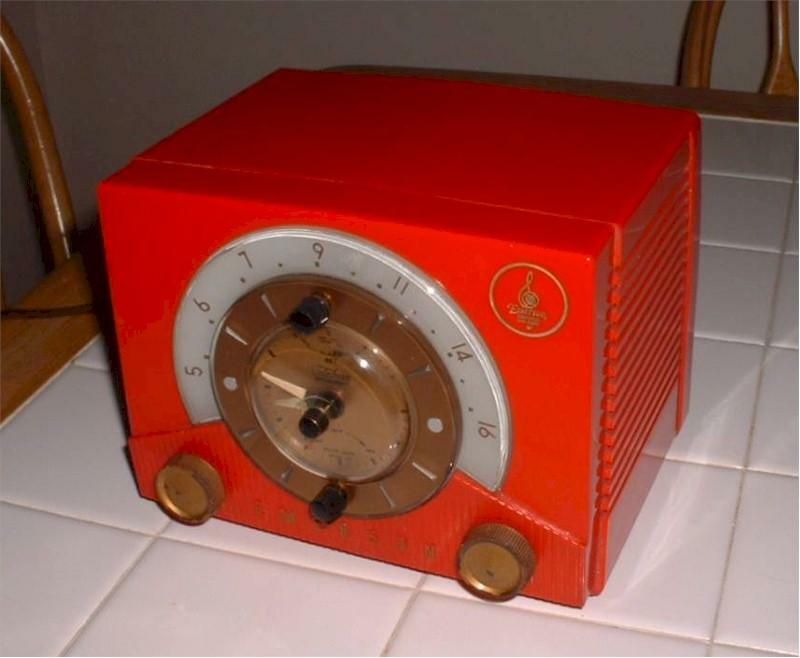 Gorgeous red radio as pictures show; restored, cleaned, serviced. Radio plays very well, all clock functions working and keeps excellent time. Only a very small tight hairline crack at rear corner as shown, hardly noticeable otherwise excellent. One of the rarest in the series. Plus shipping of 20.00 for very careful packing, insurance and delivery. You are visitor number 3,216 to this page.